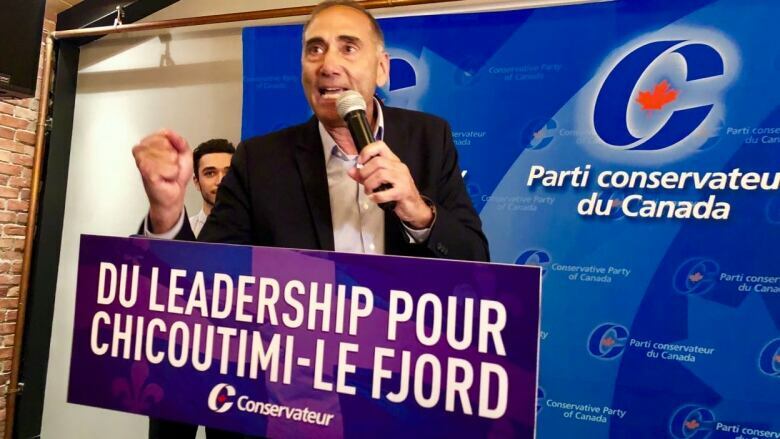 Federal Conservative candidate Richard Martel won a byelection in Chicoutimi-Le Fjord, Que., on Monday, taking a seat from the governing Liberals. 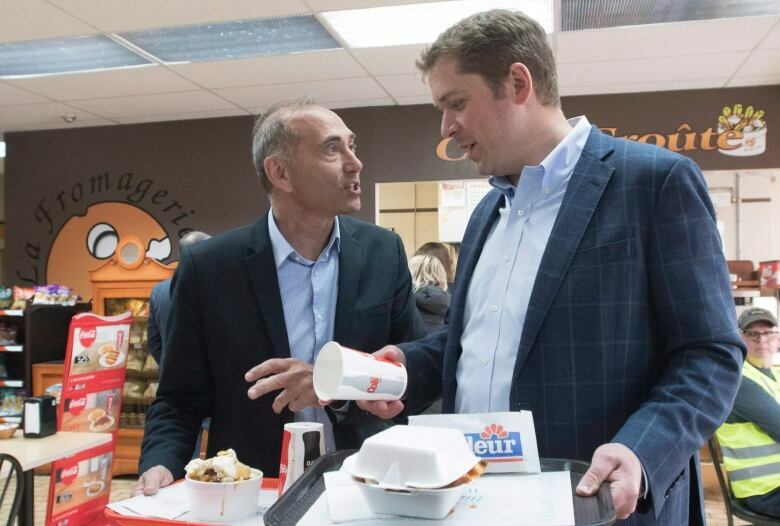 Federal Conservative candidate Richard Martel won a byelection in Chicoutimi-Le Fjord, Que., on Monday, taking a seat away from the governing Liberals. The Conservatives won handily, with 52.7 per cent of the vote to the Liberals' 29.5 per cent. The byelection saw a near-total collapse of the New Democrat vote. The party attracted just 8.7 per cent of the vote. The NDP won the riding with 37.7 per cent of the vote in 2011 and narrowly lost in 2015 with 29.7 per cent. The Bloc Québécois and Green candidates were not in contention, capturing just 5.6 per cent and 3.1 per cent of the vote respectively. The Conservatives recruited Martel to take back one of two seats snatched by the Liberals in federal byelections since 2015. As former coach of the local major junior hockey team, the Saguenéens de Chicoutimi, Martel is well-known and well-liked in the riding. "This victory belongs to you all," he told a crowd of cheering supporters chanting, "Richard! Richard!" Martel said the fact that he started campaigning earlier than the other candidates helped him win. "The Conservatives right now ... are an option for Quebecers because the Conservatives are close to the people," he said. 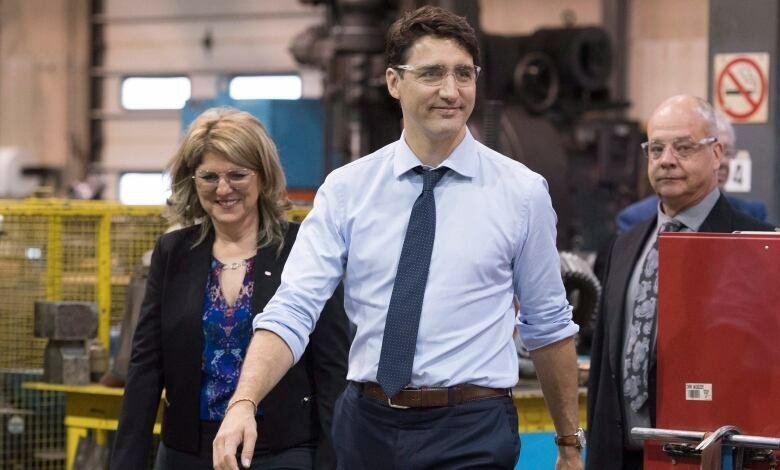 Prime Minister Justin Trudeau's support for the region's aluminum smelting industry amid the trade dispute with the U.S., and his tough stance with President Donald Trump, have not gone unnoticed in the byelection race, but Martel proved to have the local star power. In a video message, Conservative Party Leader Andrew Scheer, speaking in French, said he was looking forward to welcoming Martel to Parliament Hill in Ottawa. "On behalf of the Conservative caucus, I would like to congratulate Richard Martel on his victory in Chicoutimi-Le Fjord. Residents can count on Richard to defend the region's interests and to be a strong advocate in Ottawa," Scheer said in a separate statement. Since announcing his intention to run for the Conservative Party, Martel has criticized the Liberal government for how it's handled the public purse and for quickly pushing through its bill to legalize recreational marijuana. He also criticized the Bloc Québécois, saying it hasn't defended Quebecers' interests. The former head of the Bloc Québécois, Michel Gauthier, came out in support of Martel. His Liberal opponent was Lina Boivin, a local businesswoman who is less well-known in the area. Liberal Denis Lemieux won the seat in 2015 but stepped down last year for what he said were family reasons. In a meeting with riding residents last week, Boivin urged them to vote for Trudeau's party as a way to protect workers, especially those in the aluminum, forestry and supply-managed agriculture sectors. The seat has flipped between the Bloc Québécois, the NDP and the Liberals since 2000. Lemieux won the riding in 2015 in a close contest with his New Democratic opponent, Dany Morin, taking the seat with 31.1 per cent of the vote to Morin's 27.9. Morin took the riding in the 2011 federal election when Jack Layton's Orange Wave swept most of the seats in the province. He won Chicoutimi-Le Fjord from the Bloc Québécois's Robert Bouchard with 39.1 per cent of the vote to Bouchard's 28.8. Before 2015, Chicoutimi-Le Fjord hadn't elected a Liberal since 2000. The Liberals have managed to turn two Conservative ridings red since coming to office in 2015. The first was Lac-Saint-Jean, where Richard Hébert, a popular local candidate, won the seat formerly held by Conservative MP Denis Lebel in October. Hébert won the riding with 38.6 per cent of the vote — an improvement on the 33.3 per cent Lebel secured when he took the riding narrowly in the 2015 federal election. In December, the Liberals won the B.C. seat of South Surrey-White Rock away from the Conservatives when Gordie Hogg secured 47.5 per cent of the vote over Conservative rival Kerry-Lynne Findlay, who came away with 42.1 per cent of the vote. This time, however, the Conservative candidate managed to turn a Liberal seat blue for the first time since the last federal election. 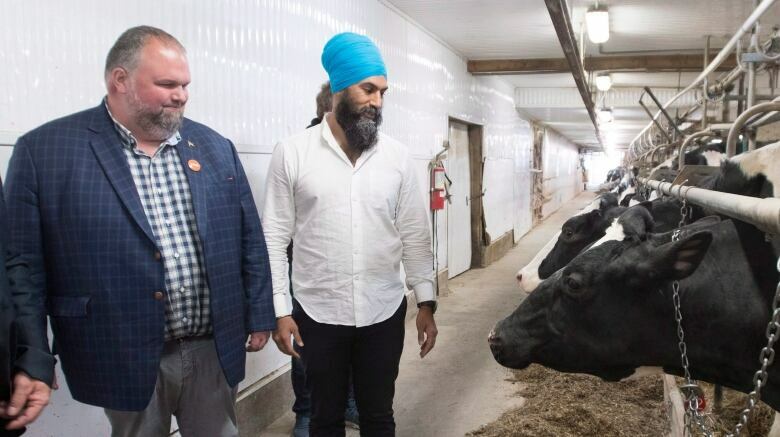 NDP Leader Jagmeet Singh's decision to campaign with candidate Éric Dubois proved unsuccessful. During his campaign, Dubois vowed to be a strong voice for the region in the House of Commons. "I've had the chance to bring forward ideas to find solutions to the problems that affect people in the region," he said. Catherine Bouchard-Tremblay, candidate for the embattled Bloc Québécois, scored 5.6 per cent in the poll.